As a Houston estate planning and probate attorney, one of the questions I am frequently asked is “How can I avoid probate when I die?” There are a number of ways to transfer different assets outside of the Texas probate process, but one asset that historically has been difficult to deal with is real estate. Generally, when a person dies in Texas, his or her property must go through some sort of probate process. The process can vary greatly in both expense and the time required to complete, depending on the nature of the assets owned by the decedent. Often, the only asset that needs to go through the probate process is a piece of real property, such as the decedent’s homestead. Depending on the circumstances, transferring title to the real estate is sometimes done by preparing an Affidavit of Heirship or, if the decedent had a Will, by probating the Will as a “muniment of title”, which avoids a lengthy probate administration. However, both of these procedures usually involve paying an attorney to complete the paperwork necessary and in the case of a muniment of title, going to court and having the Will admitted to probate. Well, things have changed in Texas. The Texas legislature has passed a law that will allow owners of real estate to transfer real estate without the necessity of probate. The new law creates what is called a “transfer on death deed” (or “TOD” deed). If properly signed and recorded, a TOD Deed will allow the real estate described in the deed to pass to the named beneficiaries outside of probate. This is similar to having a Payable on Death (“POD”) designation on a bank account, where the person named as the POD beneficiary on the account becomes the owner of the account proceeds when the account owner dies, without the need for probate. It is possible that the TOD deed will become widely used in Texas as a means to avoid probate. However, using a TOD deed alone will not avoid probate for a person’s entire estate. In order to avoid probate, other assets will need to be coordinated so that they pass outside of the Texas probate process. For example, beneficiary designations on assets such as life insurance and retirement plans would also need to be completed in a manner such that those assets would avoid probate. Additionally, avoiding probate may not be a good fit for everyone. 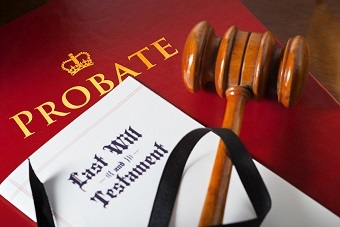 There are times when probating a decedent’s estate makes more sense, such as when asset protection planning or tax planning is part of an overall estate plan. To determine whether probate avoidance and the TOD deed are a good fit for your situation, you should contact a qualified estate planning attorney.